On Friday, July 31, the second moon of this month—the first one was on July 2, 2015—is happening exactly at 6:44am EST, 3:44am PST and 10:44 GMT. Is the moon really blue in color? We might have misled you to believe you’ll be seeing a bright, blue moon on Friday, given the photo above, but seeing a blue-colored moon is pretty unpredictable. Blue-colored moons happen when unusual sky conditions collide. It’s confusing, but the term “blue moon” also refers to the extra full moon, not always the color! Here. 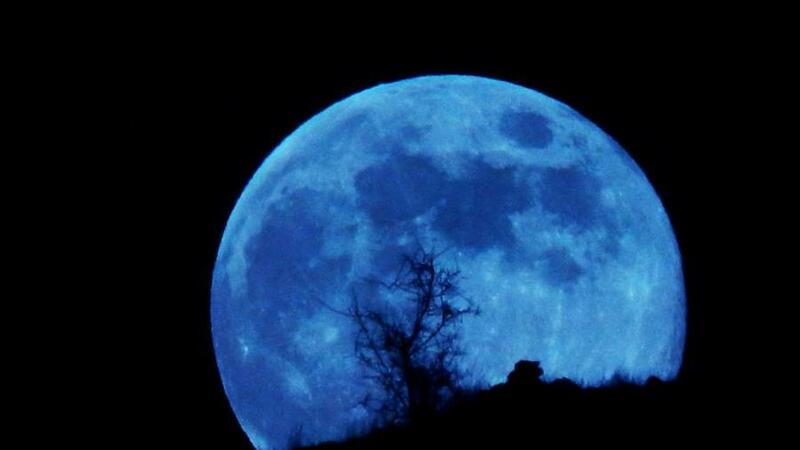 We’ll leave you with a fun fact: The last blue moon happened on August 31, 2012.